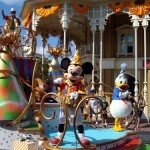 If you have fond memories of strolling through your favorite Disney World Park as a youngster (or as a not-so-youngster! 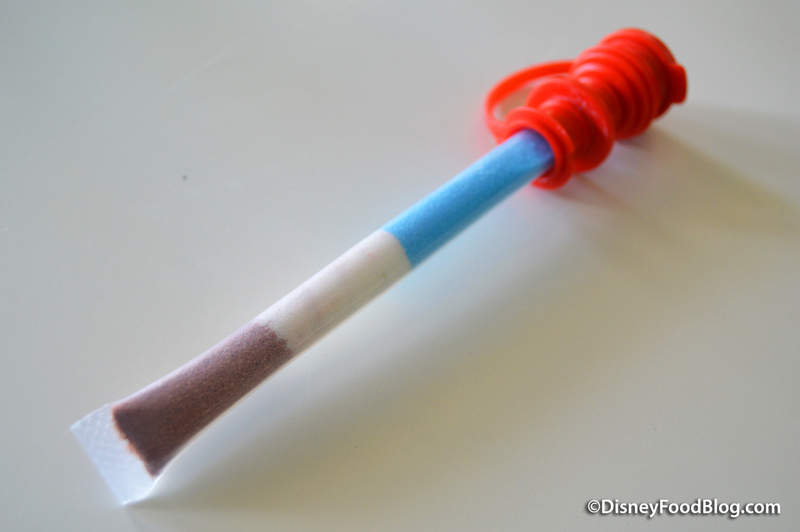 ), clutching a plastic tube full of flavored sweet and/or sour sugar, you might be a Goofy’s Powdered Candy fan. 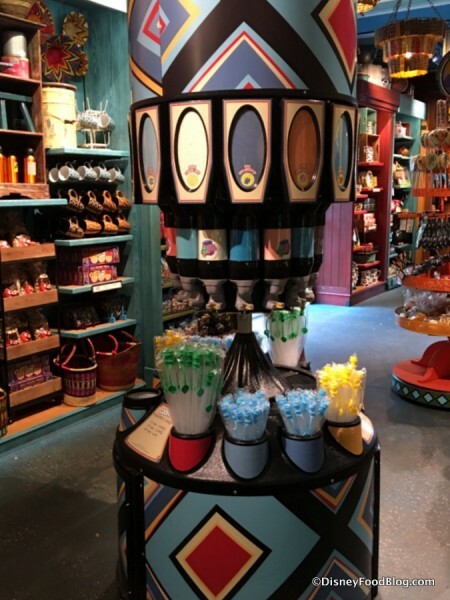 While powdered candy is by no means new to Disney World (we first chatted about this sugary indulgence years ago), the current incarnation of the treat is somewhat updated. You see, around a year ago, Goofy’s Powdered Candy suddenly vanished from merchandise spots where it had been a staple for ages: place like the Main Street Confectionery, Epcot’s Mouse Gear, and the like. And then — just as suddenly — it came back on the scene to several of its previous locations (though not all… yet). 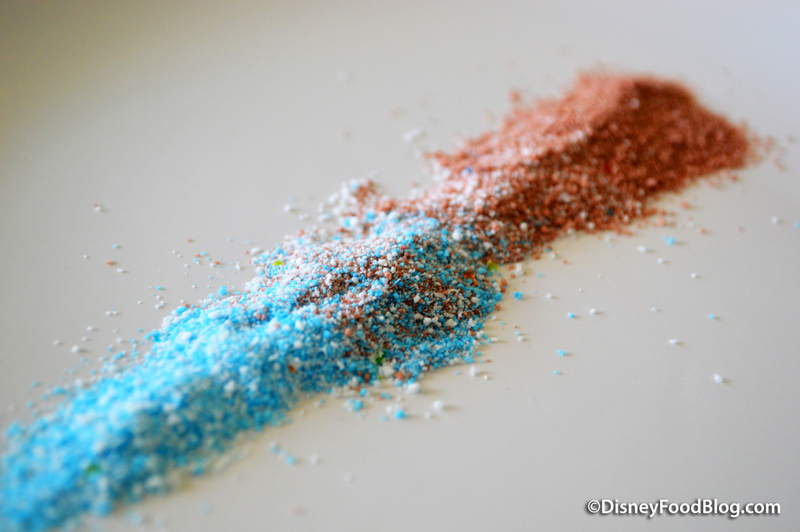 Goofy’s Powdered Candy even showed up in places it hadn’t been seen before, like Zuri’s Sweets Shop in Animal Kingdom. BOOM! The set-up is the same: round, free-standing dispenser. Tube options of various lengths on the bottom (more on those later). Flavored sugar options circling above. Only a few things have changed: there are some updated graphics to help note the flavors, AND there are even some new tastes to try. 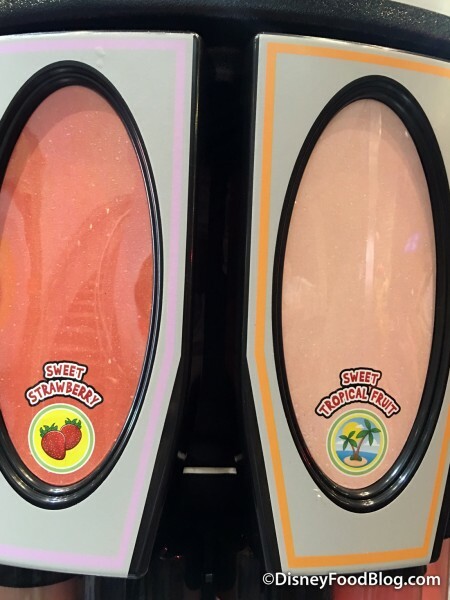 In fact, there are as many as fourteen flavors (and so many combinations thereof! ), so you might need to make multiple stops! Or, for all you parents out there who aren’t quite as delighted by the news of the return of powder candy, here’s some advance notice that you might need to steer the eyes of your little one away from the colorful, glittery beacons of sugar ;). Let’s go down the list. 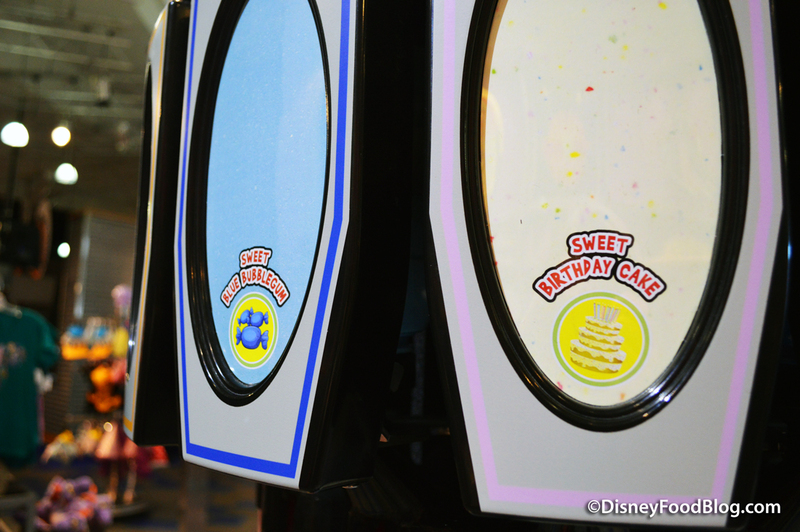 First up, you’ll notice that Blue Bubblegum and Birthday Cake are both designated as two of the “Sweet” options. 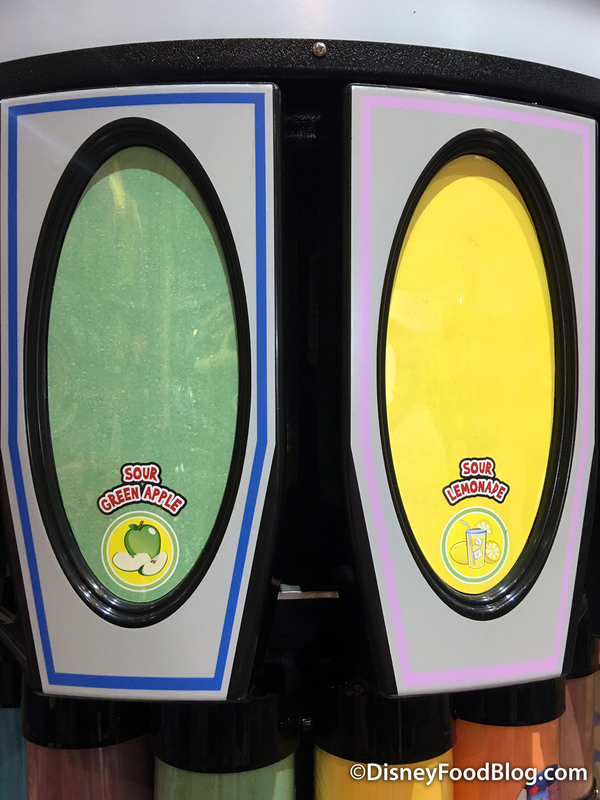 The other flavor family is “Sour,” with options including Green Apple and Lemonade. 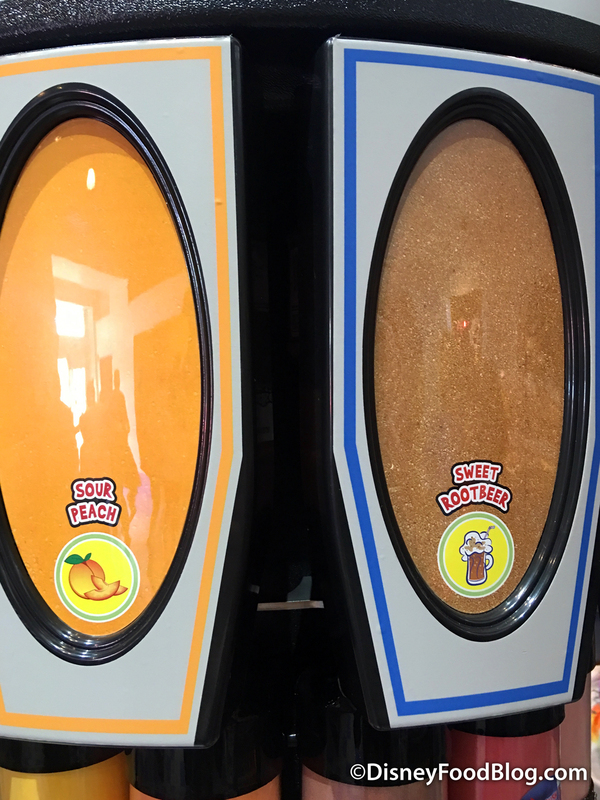 For those who want to stray slightly off the beaten path, there’s Sour Peach and Sweet Rootbeer. Ideas for mixing and matching abound as you make your way around the stand; for instance, Sweet Strawberry and Sweet Tropical Fruit would likely taste great together. 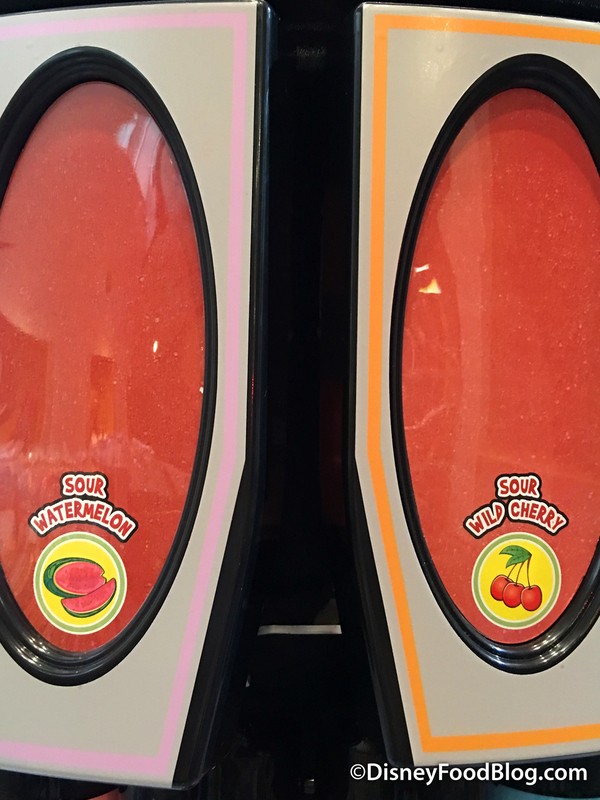 Sour Watermelon is intriguing, and Sour Wild Cherry is likely to be popular. Sour Blue Raspberry and Sweet Cotton Candy join the mix. 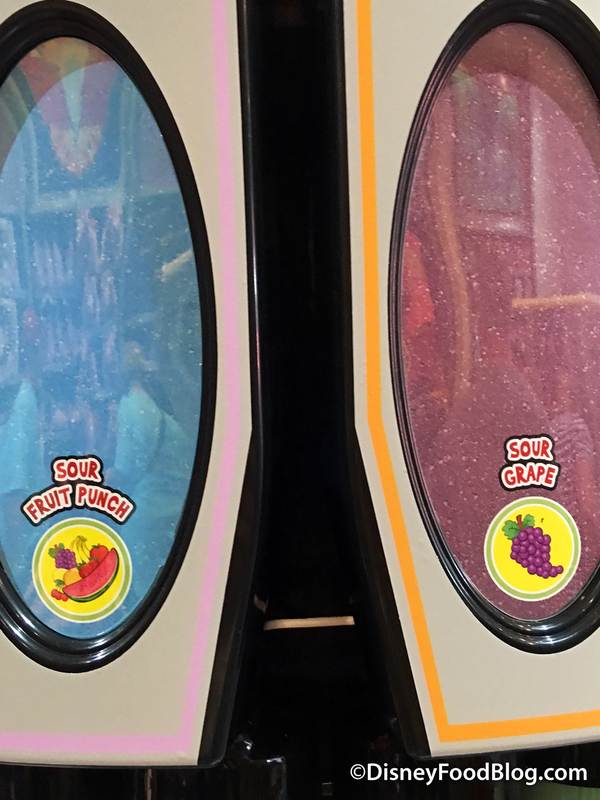 And jewel-like shades of Sour Fruit Punch and Sour Grape are as fun to look at as they might be to eat. 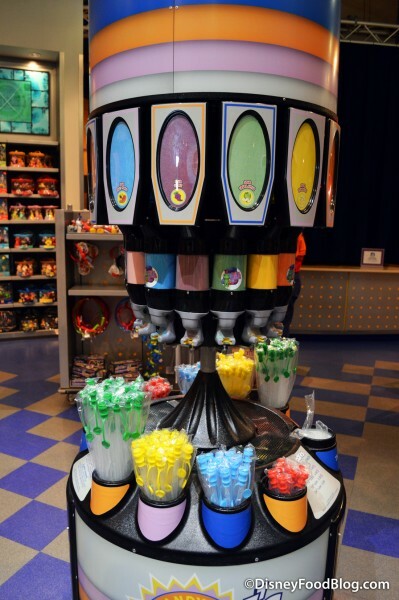 Goofy’s Powdered Candy is a self-serve situation, so you select a tube of your choice and fill it with whatever flavors suit your fancy. 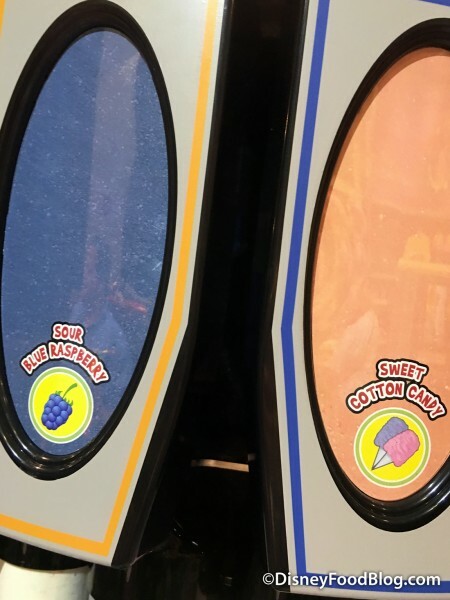 On this visit, we went with a 6″ tube and filled it with three flavors: Sour Fruit Punch (that’s the blue one), Sweet Birthday Cake, and Sweet Rootbeer. The tubes are easy to fill once you’ve completed the far more difficult task of choosing your flavors. The powdered candy texture is just right (read: the granules are very fine for ease of dissolving, so bear in mind that it can get on every inch of your clothing if you aren’t careful!). Just as you’d expect, the powders are sweet and sugary — or just sour enough to cause you to pucker, where noted in the flavor names! But we were stoked to find that they also carried their designated flavors pretty well! Essentially, it’s like one big ‘ol customizable Pixy Stick (or Pixy Stix, to be proper, if you’re pluralizing by filling a few tubes 😀 ). 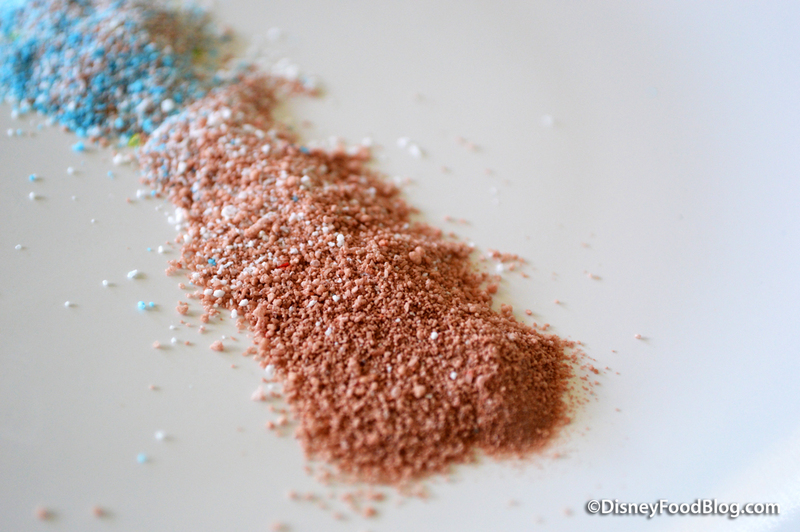 The powders do become somewhat mixed together once it’s time to tip the tube. 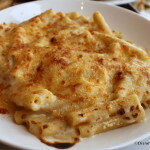 All this means is that you’ll want to select flavors that are friendly with each other and will mix together well. 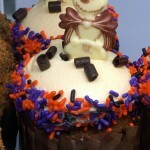 Otherwise, just tip it back and wait for the sugar rush to take over! As far as pricing goes, there are four options, delineated by tube length. 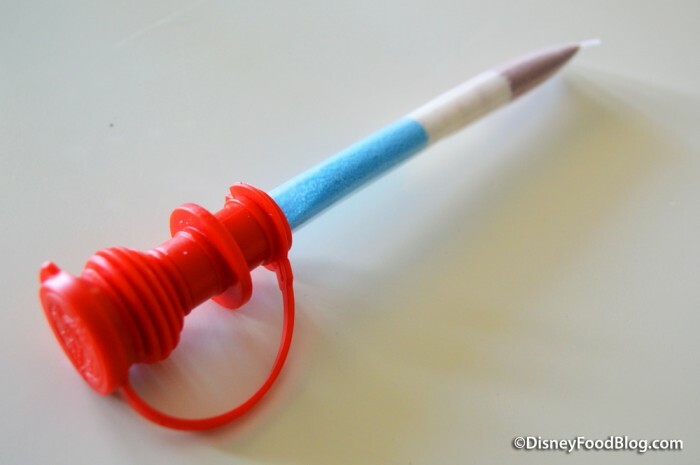 You’ll note that the first three tube length options are all Disney Dining Plan snack credit options, so the 18 inch tube will best maximize your snack credit value at three times the powder of the smallest size. Divvying up a big tube among the fam can make two (or three or four) snacks out of one credit. 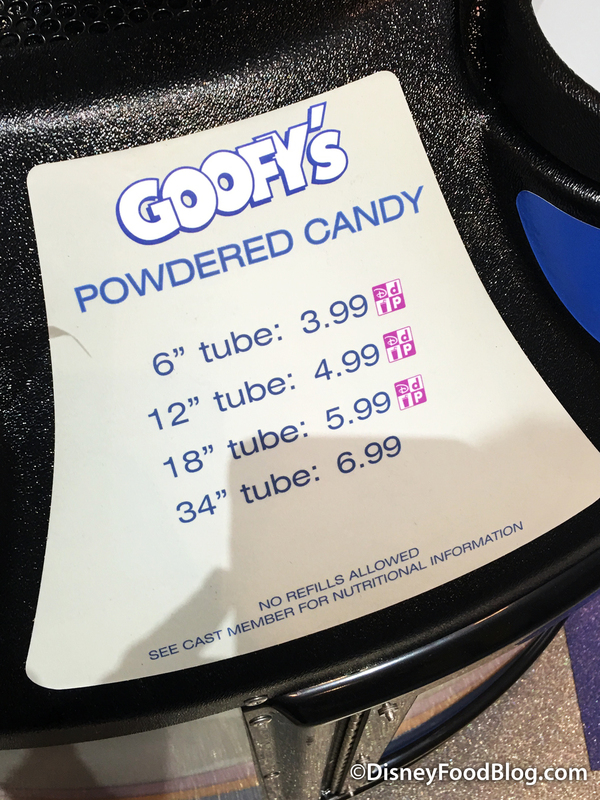 No matter the math, though, the return of Goofy’s Powdered Candy brought a smile to my face. How about you? All four are being sold together — for 30% off the already hugely discounted bundle price. Use code BUNDLE17 at check out to get the discount. 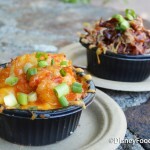 Our Snack Guides vibrantly display and review hundreds of Disney World snacks (!! 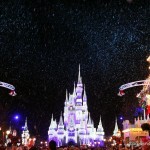 ), including classic favorites and some of our favorite under-the-radar treats and eats in the parks. 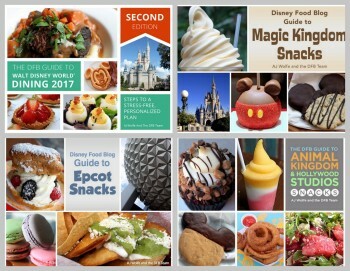 Get your DFB Guide & Snacks Bundle — including the DFB Guide to Walt Disney World Dining 2017 Second Edition, the DFB Guide to Hollywood Studios and Animal Kingdom Snacks, the DFB Guide to Epcot Snacks, and the DFB Guide to Magic Kingdom Snacks — for 25% off here. 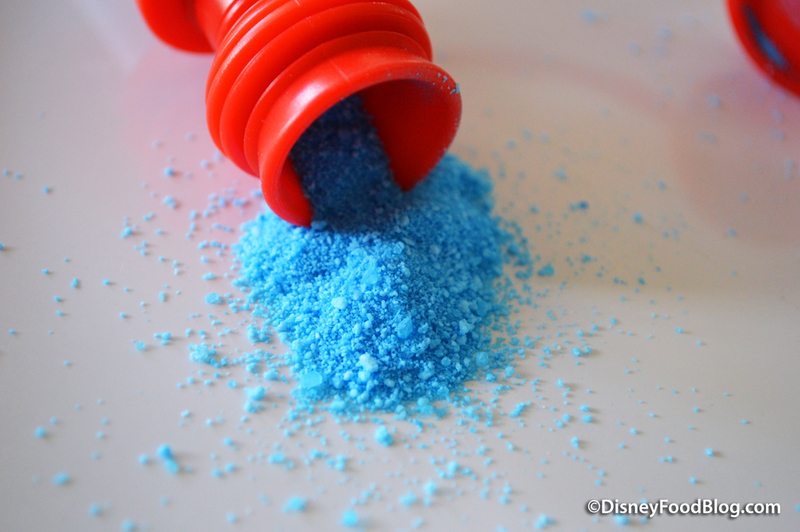 Did you love Goofy’s Powdered Candy back in the day? Let us know if you’re happy it’s back! Sounds like soooo much fun! We have these at the amusement park I work at (They’re actually called Pucker Powder,) and as someone who had to maintain and clean these…. These are nightmares to clean. And not exactly my pick for a candy treat. But it’s alright.